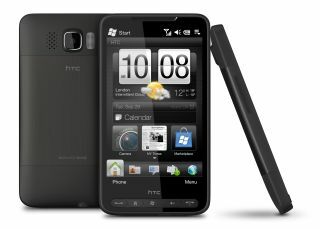 HTC has just been in contact with us to provide TechRadar with an 'update' to the Vodafone and HTC HD2 stock situation. While both sides had confirmed us to earlier in the month that the HD2 will no longer be available to consumers, only those on enterprise contracts, it seems things have changed again. An HTC spokesperson says: "Following its availability in November 2009, we have been extremely pleased by the strong sales and positive feedback from Vodafone about the HTC HD2. "Vodafone's strategy continues to be to provide the HD2 as part of its broad portfolio. The HD2 will continue to be available through Vodafone for consumer sales via Vodafone.co.uk and for enterprise customers." So the only difference HTC is stating is that while consumers can't get the HD2 from shops, the phone will still be available online. However, we've spoken to Vodafone and it has maintained its stance - it has ordered more phones for consumers and will be continuing to stock it for business users. The consumer stock is only for existing pre-orders though, meaning that once that has run out, then that will be the end of the offering from Vodafone to consumers. We've had a look at the site and the HD2 consumer page is down, so Vodafone clearly isn't taking any more orders from consumers at the moment, and we'd be surprised if that changed any time soon.